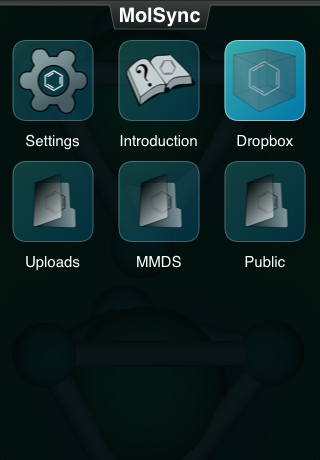 The Mobile Molecular DataSheet (MMDS) is the progenitor app, which provides features for drawing molecular structures and reactions, organising datasheets, sharing data, access to web services, and many more. See product page and AppStore. MolSync provides chemically aware access to cloud-hosted file repositories, which currently means Dropbox. Files can be browsed, viewed, converted and made into graphics. The app works particularly well in combination with MMDS: the two apps integrate together as a synchronisation/versioning tool/collaboration utility. See product page and AppStore. Reaction101 focuses on editing one reaction at a time. Its simplicity, combined with reaction balancing capabilities, make it particularly useful for chemistry students. The app also provides integration with the Mobile Reagents database, common reactions for use as templates, and cloud-based storage of data. See product page and AppStore. Yield101 focuses on the quantities involved in a reaction, and automatically calculates related amounts, using molecular weight from structure to interconvert mass, moles, volume, density, concentration, and ultimately yield. This app is useful to students practicing quantity interconversions, as well as any chemist who wants to spend less time using a calculator. See product page and AppStore. 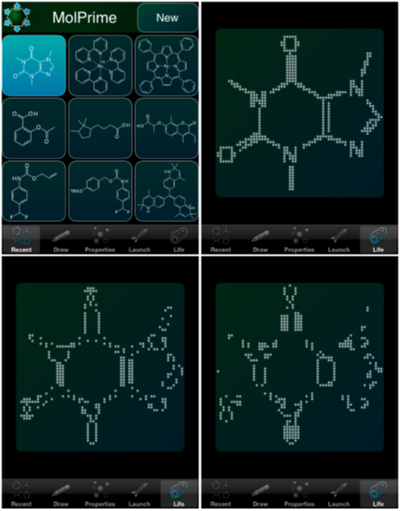 MolPrime is a free app which allows a structure to be drawn, then used in several ways: reviewed for basic properties, launched with other apps, searched with Mobile Reagents or ChemSpider, copied to the clipboard or sent by email. 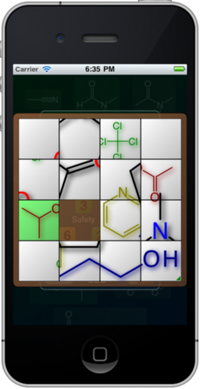 It also lets you play Conway’s Life, using the chemical structure to seed the first generation. See product page and AppStore. Green Solvents is a free app which presents a list of solvents, categorised by functional group. Each of the solvents comes with information about its properties with regard to environmental hazards and disposal. They can easily be looked up in ChemSpider and Mobile Reagents, and there is also a slider-tile minigame, to help out with lab down-time. See product page and AppStore. ChemSpider Mobile provides the most effective way to search ChemSpider for chemical structures from a mobile device. The app was commissioned by the Royal Society of Chemistry, and is free to use. See product page and AppStore. Furthermore, there are two products from Eidogen-Sertanty that make use of MMDSLib to provide structure drawing capabilities: Mobile Reagents and iProtein. And there are more apps in development, so expect this list to grow! New versions of the Mobile Molecular DataSheet (MMDS) (v1.3) and MolSync (v1.1) are now available on the iTunes AppStore. This is a tandem-release, because the two apps have been enhanced so that they work together explicitly. 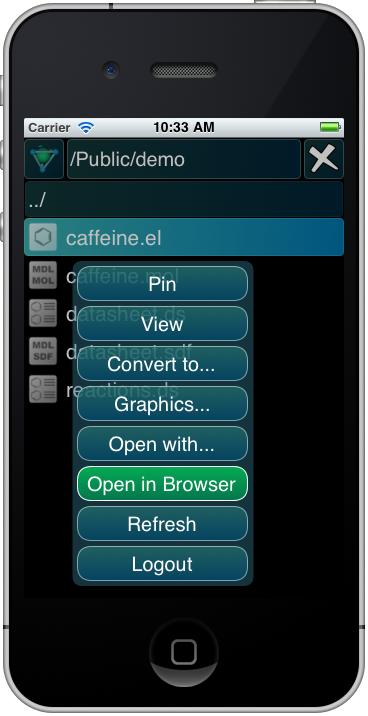 Yesterday a new iOS app was added to the stable: MolSync. An overview article can be found on the Molecular Materials Informatics website, and it’s available on the iTunes AppStore. What the app does, right now, in one sentence, is: allows you to manage chemical data within your Dropbox account, using a mobile device.